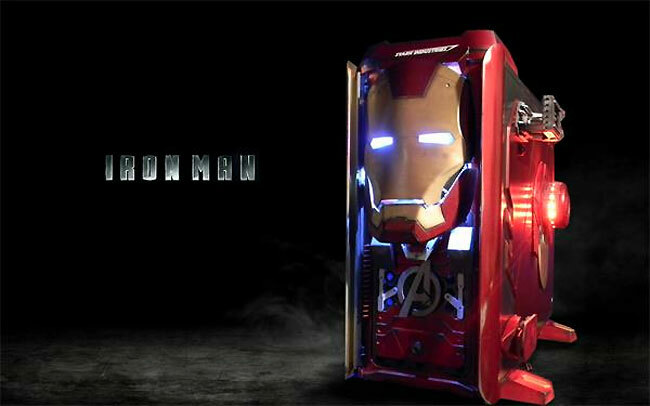 At Computex this month Thermaltake have been showcasing a number of new cases including a highly modified Armor Revo Snow Edition PC case, in the form of an awesome Iron Man case mod. Watch the video after the jump to see how its been modified. The Iron Man case mod has been created by Ron Lee Christianson, who hand-fabricated Iron Man’s chest plate from 00.80 polystyrene and created a replica Arc Reactor to slot into it. On the right side of the PC case is a panel that includes a portion of Captain America’s shield, paying homage to the brief references to Steve Rogers in the two Iron Man movies.